Charlie Munger, the vice chairman of Berkshire Hathaway ( BRK-A , BRK-B ) and Warren Buffett’s right-hand man, spoke on Thursday from the Daily Journal’s ( DJCO ) annual meeting in Los Angeles about a range of topics including the controversial matter of stock buybacks and presidential candidates proposing tight restrictions. During his reply, he singled out hedge fund manager Eddie Lampert and Sears ( SHLDQ ). Buybacks have come into focus after Senate Minority Leader Chuck Schumer (D-NY) and Senator Bernie Sanders (I-VT) introduced legislation this month that aims to prevent company stock buybacks unless the firms put employees first, including a $15 minimum wage, seven days of paid sick time off, and health and pension benefits. In an op-ed published last week, the pair slammed the $1 trillion worth of stock buybacks in 2018 as a "practice of corporate self-indulgence." The reason it's problematic, they argue, is that buybacks don't benefit most Americans because a small percentage of people own a majority of the stocks. What's more, many executives receive stock-based compensation and would benefit from share repurchases. They also argue that buybacks limit a company's ability to invest in wages, R&D, training, and other benefits. 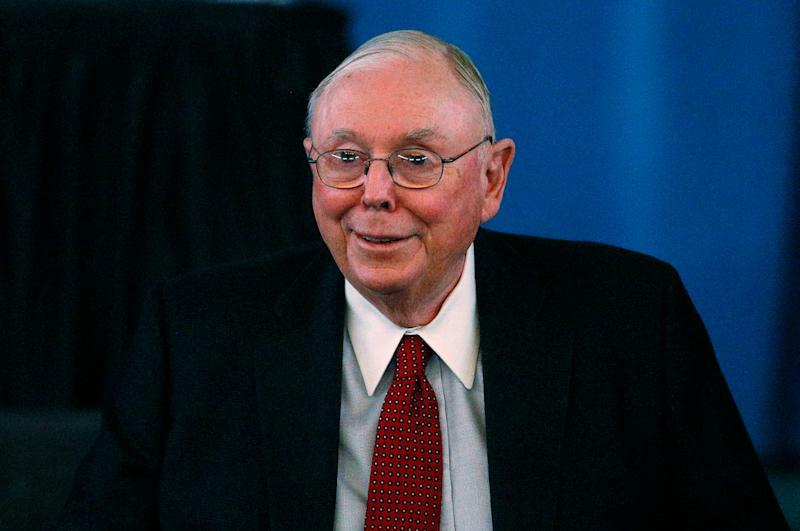 At the 2018 Berkshire Hathaway Annual Meeting, Munger said some companies use share repurchases to keep the stock price up, which he called "insane" and "immoral."